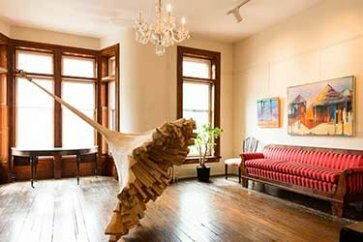 The Monroe House offers space for many different events. 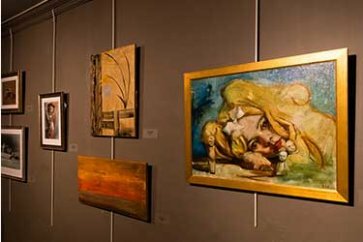 Our MacFeely gallery and other galleries provide plenty of space for displaying paintings, photography, stained glass, and other works of art. The salons and parlors offer space for meetings and other gatherings. Our theater provides a unique venue for performances, ceremonies, and conferences. Then there are our private gardens, a gorgeous oasis that can take you away from the noise and pressure of the city. With all of this available here, we’re certain to have the perfect space for your event. We offer a number of amenities to those who are considering holding an event here. As a member of the Arts Club, you’ll have access to the venue during standard business hours. This means you’re free to rehearse for any event when it’s convenient for you. If you’d like to serve refreshments or even host a full dinner in conjunction with your event, our staff of professional chefs are ready to work with you to create the perfect menu. Under the direction of an Executive Chef, there’s no menu too large or too unique for our team. Whether you need light snacks or a plated service for one hundred, we can handle it. 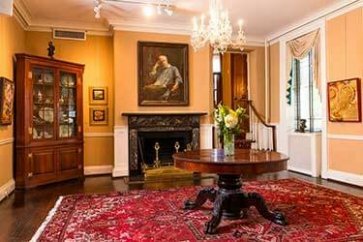 What types of events can the Monroe House accommodate? We can handle almost anything. Our space is large enough for up to 400 guests for standing receptions or up to 180 for seated dinners. The theater can hold conferences for as many as 120. We also have smaller breakout rooms that can hold up to 35 guests each. 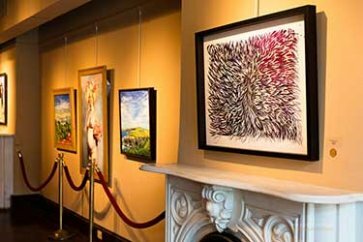 Others have booked our spaces for weddings, receptions, holiday or corporate parties, conferences, exhibits, board meetings, and a variety of performances. We have a Steinway Grand Piano for recitals, plus you can set up a number of instruments in other spaces for concerts. All in all, no matter what type of event you’re planning, hosting it here at the Monroe House is a great way of adding a touch of elegance and history to it. Contact us today to learn more about this unique venue.